Our team of highly experienced staff provide support to patients, their families and their carers through their cancer journey. The center is open for treatment on Tuesday, Wednesday and Thursday. Oncologists are available at the center each week for appointments. Radiation Oncologists are also available for pre and post treatment reviews each Tuesday. The Unit administers chemotherapy for all types of cancer, venesections for blood disorders, and post chemotherapy care of intravenous access devices. Our team takes great care to assess the patient’s condition during the treatment and will offer ways to treat the side effects of the treatment. Our team will make referrals to medical, allied health, social and nursing services where appropriate. Our dedicated and caring community volunteers support our unit and provide a friendly face for patients. 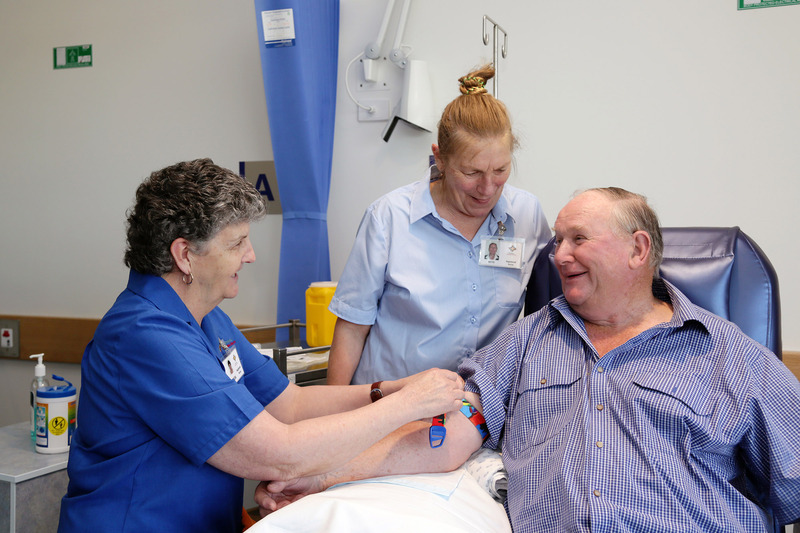 Patients and their carers can attend our Oncology Rehabilitation program aimed at increasing fitness and providing social and emotional support. We also offer Look Good, Feel Better workshops for women twice a year that helps patients manage the appearance related side effects of cancer treatment. Workshops for 2018 will be in April and August for more information about these workshops contact the number below. A lot can happen in a hurry when you’re diagnosed with cancer. The link below will take you to guides from the Cancer Council that can help you make sense of what should happen.